This is Shanna! 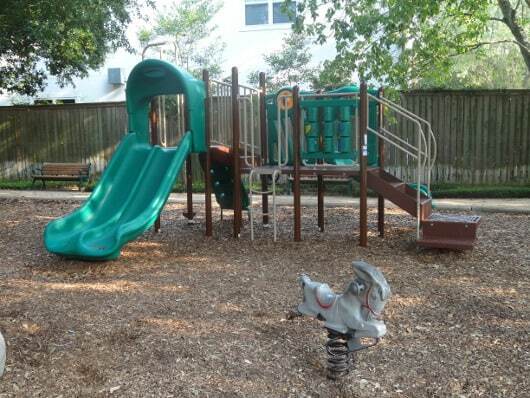 My kids, ages 6 and 4, are on a mission to visit new Houston parks. My kids call Whitt Johnson Park in West University the “Tree House” park. Yours probably will too if you bring them for a visit. 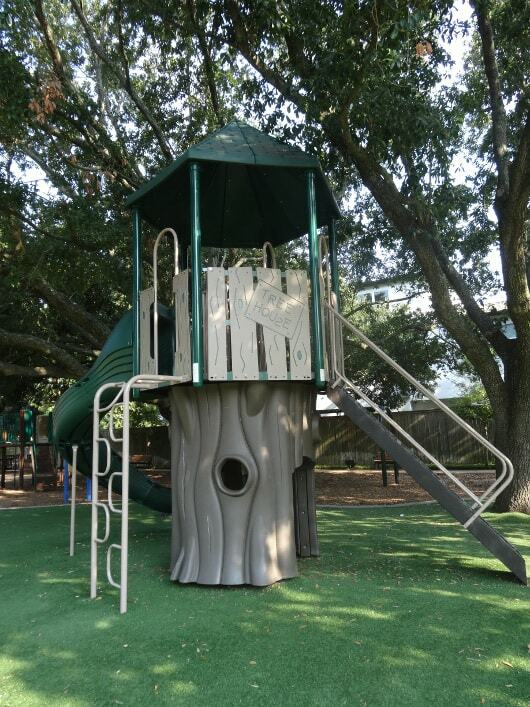 The tree house is a large metal and plastic play structure in the middle of the park. 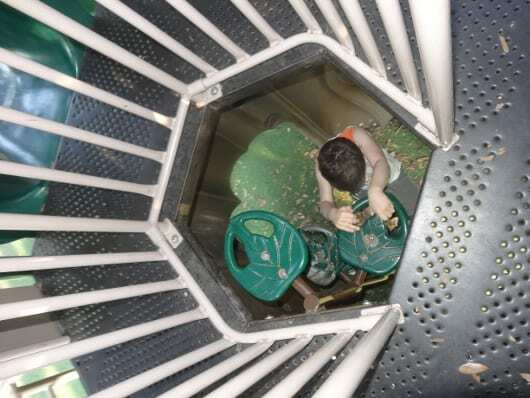 There are four different ways to get up or down from the tree house, but our favorite, by far, was the leaf ladder located on the inside of the “tree.” Sliding down the vine slide is also a good option. After playing for a while at the tree house, we decided to check out the other play equipment. Although there are swings, we didn’t spend much time at those. We did played for a while on the smaller play structure that is meant for kids ages 2-5, and on the larger one that is labeled for kids ages 5-12. Both were fun, but fairly typical for what we’ve seen at other parks. There is also a donkey spring rider that, for some reason, both of my kids loved. One of the great things about this park is that it is well shaded. We went in the late morning, so the shade made a real difference in how hot we felt. The entire park is fenced and there are lots of benches, picnic tables and even a gazebo, so it was relaxing to sit and watch the kids. There is also a basketball court, but no one was playing while we were there. Instead, a few of the kids had brought bikes and scooters and were using it as a place to ride.